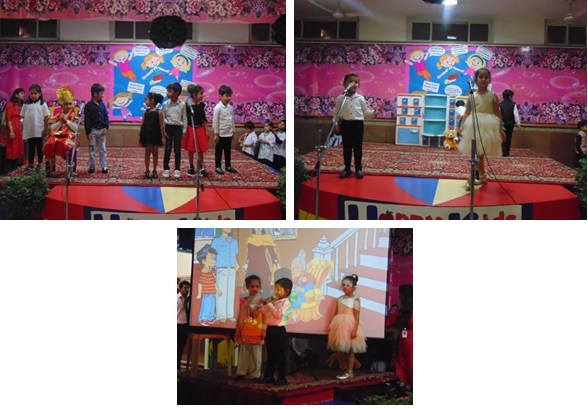 To convey this message, the tiny tots of Pre-primary Uranus presented a assembly on “ Health and Happiness”. The assembly started with a mesmerizing welcome dance in which children paid a tribute to Goddess Durga by performing vandana. The dance performance was followed by a melodious song “Teri hai zameen, tera aasma”. A skit was presented by the children to show how happiness is related to health. Through the skit, a message was conveyed that the , happiness never comes with money, happiness comes with the good health.The grand finale was a treat to watch where children danced and won the hearts of all the audiences. Overall, it was an extremely cheerful and heart winning performance.